It’s an election year for the General Assembly, and every member of the House and Senate will be on the ballot this year. That means one thing during the session: brochure bills. Democratic Delegate Mark Levine acknowledges all lawmakers are thinking about the upcoming election. 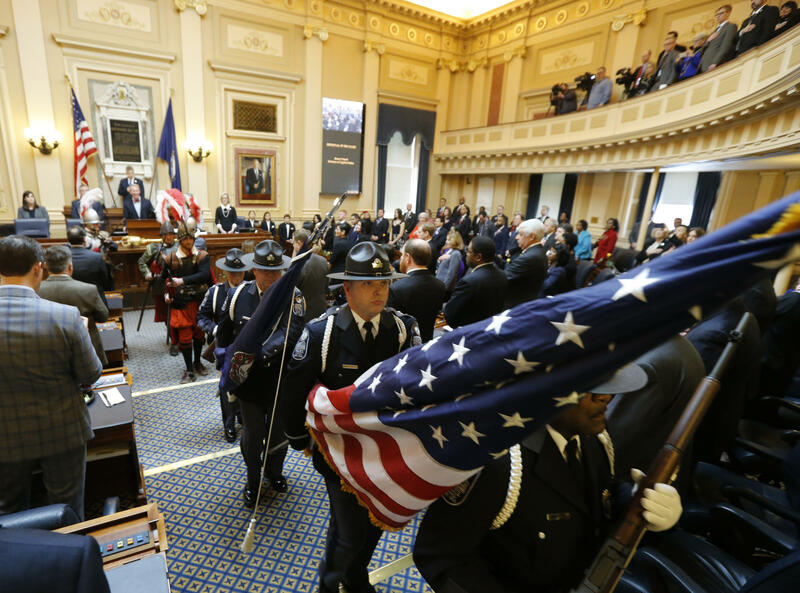 Members of the Capitol Police honor guard retire the colors during opening ceremonies at the start of the 2019 session of the General Assembly in the House chambers at the Capitol in Richmond. And voting against one of those brochure bills can also help in a campaign. Republican Delegate Terry Kilgore of Southwest Virginia has already identified one of his targets. The primary election is only three months after the end of the session this year. Lawmakers are about to assemble in Richmond for the next session of the General Assembly. But, many of them are already thinking ahead to the next election.